Seeing as how winter is hitting very hard these past couple years, even in the climates that don’t usually get the nasty stuff, it may be a good idea to consider a car that comes equipped with that extra traction advantage, All-Wheel Drive. Even though it costs a little more and takes away from the fuel efficiency slightly, you’ll be thankful for it when you’re driving in a blizzard and it seems as though there’s only one plow to cover a 3,000-mile radius. If you’re tired of having to get out and push your car to get the other two wheels to start working, or if you just want some better handling and traction, here are the best AWD cars of the 2011 model year, found by research from top automotive experts at Car and Driver, Consumer Reports, Edmunds, and Motor Trend. This category should be a no-brainer. Porsche exemplifies the standards set for an AWD sports car with superb handling and aggressive traction through twisting, winding corners; and, the 911 has been the centerpiece of Porsche’s excellence in that category for several decades. 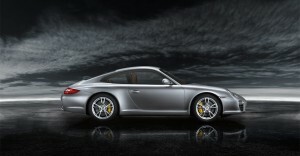 The 2011 model just shows that certain things really do get better with age. Build and materials quality are both excellent, and when the rear seats are folded down, cargo space bolsters to a reasonable amount for a compact sports coupe. Despite its diminutive looks, the interior consists of large footwells and a tilt/telescoping steering wheel which can accommodate drivers of nearly any size. Not only is the 5 Series one of the best AWD cars available, it’s one of the best cars available in any class. It boasts one of the most spacious and comfortable cabins you’ll find, and the “Comfort” seat option brings seats which adjust in innumerable ways. 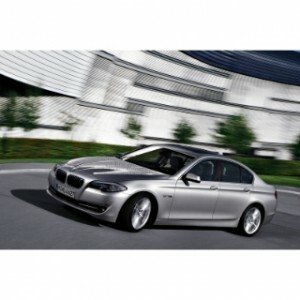 The 528i comes with a turbocharged 3.0L inline-6 engine which pumps out 230 horses and 200 lb-ft. of torque through a six-speed manual or optional six-speed automatic transmission. Surprisingly, BMW’s xDrive AWD doesn’t bring the 18/27 mpg (city/highway) fuel efficiency down much at all. Hill start assist and hill descent control are both standard on the xDrive models. “The 2011 Ford Fusion is one of the most engaging family sedans from the driver’s perspective. Body control through corners is impressive, yet the ride remains comfortable and hushed.” (www.edmunds.com) The AWD SEL model comes with the 3.0L V6 pushing 240 horsepower and 223 lb-ft. of torque. Suspension is adequately soft, yet steering can feel rather numb and light. 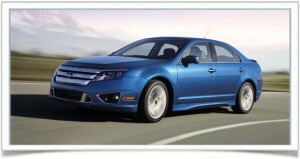 The Fusion’s cabin is where its elegance is truly seen. There’s plenty of room, lots of soft-touch materials, and a 16.5-cubic-foot trunk. The rear seats are both roomy and are split-folding for storage of larger cargo. The list of amenities available are also quite affordable. With only a $900 increase in price to upgrade from the standard A4 sedan to the AWD Quattro, this Audi is one of the most affordable AWD luxury sedans on the market. Even though the 2.0L four-cylinder engine seems small for a vehicle of this size, the turbocharger it possesses ups horsepower to 211 and torque to 258 lb-ft. AWD makes the handling feel even more secure than original equipment, and the Drive Select system gives the driver three separate modes to choose from for ride compliance, steering effort, and transmission responsiveness. The 12-cubic-foot trunk is only average in size, but there is also the Avant wagon option for those who need a little extra storage room.